It’s nearly time to venture back to the idyll that is the Isle of Wight – and in 2018, the festival is bigger than ever before. As it celebrates its 50th anniversary, organisers have pulled together their most memorable line-up since Jimi Hendrix and The Who headlined in 1970. Rock kings Kasabian will take to the stage as Friday’s headliners, while on Saturday, Oasis legend turned solo superstar Liam Gallagher is set to bring his rugged charm to IoW – sharing headliner status with the one-and-only Depeche Mode. To complete a line-up of incredible bands, American rockers The Killers are set to bring this landmark weekend to a spectacular close. But whilst the headliners hype up the nostalgia, the rest of the weekend boasts an impressive number of rising stars. Cornish charmer James Bay has put down his trademark hat for his second album, Electric Light. Released just a few weeks ago, it’s one of Bay’s first chances to showcase his new material. Former Fifth Harmony member Camila Cabello makes a rare performance in the UK on Sunday; she’s undoubtedly set to hype up crowds with 2017’s banger ‘Havana’ and more tracks from her self-titled debut. Fresh from winning Chinese singing competition Singer 2018, Jessie J brings an eclectic mix of old and new music to the masses when she performs on Saturday, when Edge favourites Wild Front also make their IoW debut. It’s not all about the Main Stage though, as the festival’s Big Top welcomes an even wider pallet of music. Liverpudlian lads Circa Waves are one to watch out for on Friday, performing soon after rising star Tom Grennan. Britain’s Got Talent talent Tokio Myers appears on Saturday, whilst on Sunday – and let me take a deep breath when I say this – Scandi sensation Sigrid will perform a pop lover’s dream set. Keen beans that arrive on Thursday can also catch the Wombats in a performance exclusive to campers. Such a diverse range of music is rarely found in a festival, and is what makes Isle of Wight so special. Add that to four days of (hopefully) scorching June weather, and you’ve got the best weekend of the season sorted. 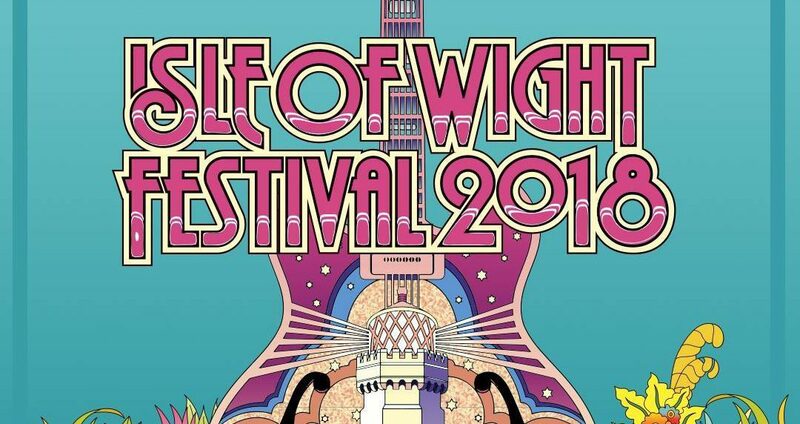 Isle of Wight Festival 2018 takes place from 21st to 24th June. Tickets are available at a steal for students at just £175 – find out more via isleofwightfestival.com.